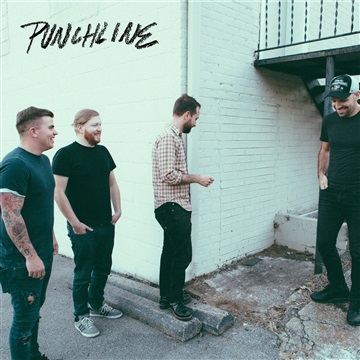 The combination of energy and sincerity has long been the hallmark of Punchline, a Pittsburgh, PA band that prides itself on constantly trying to craft honest and meaningful songs. In an era of short attention spans, their new album LION is a testament to their commitment to creating a truly memorable musical journey. The largely self-produced roller coaster ride starts with the album’s first single “Friend From The Future”, an upbeat yet emotional punk rock song that is sure to appeal to both the band’s longtime following and new listeners alike. The distinctive voice of singer Steve Soboslai offers thought-provoking lyrics paired with infectious melodies, challenging those who cannot seem to see the present tense for what it is — an opportunity to make a change and make a difference. What follows the opening track is a collection of songs that at one point or another touch every area of human feeling. “Darkest Dark” (which features Matt Thiessen of Relient K.) is a reminder to loved ones that you're always there, “Dead When It Hits The Shelves” is a self-effacing homage to frustration, and “Sensory Overload” is a fiery exploration of resentment in a modern world that sometimes seems like too much to handle. The styles of the songs vary throughout the record, but the inspiration and passion behind the tunes is the thread that ties them all together and makes them work in perfect harmony. Friends Matt Theissen of Relient K and Anthony Raneri of Bayside even drop by for guest vocalist appearances on Lion. In typical Punchline fashion, the styles of the songs vary greatly throughout the record, but the inspiration and passion behind the tunes is the thread that ties them all together and makes them work in perfect harmony.